Hi-De Liners, Inc. is committed to making the customer the #1 priority by providing the highest quality flexible plastic packaging on time, every time. 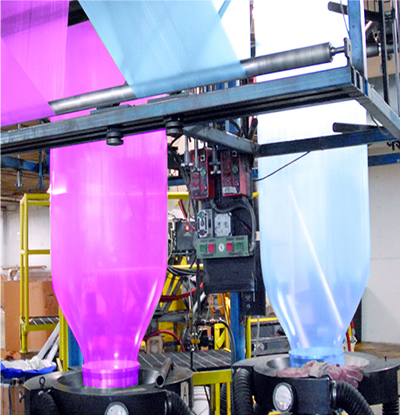 Since 1993, HDL has been manufacturing High Density and Linear Low Density Polyethylene products that include; liners, sleeves, sheeting and tubing. All products are manufactured in the USA at our Orange, MA facility. HDL specializes in custom product runs, tailored to the client’s needs. Our manufacturing flexibility allows us to preform product runs (minimum of 500lbs) in exceptional lead times. In addition to manufacturing a great product, partnering with HDL will enable you to take advantage of great offerings that include: private and custom labeling with your company’s name and logo, blind shipping, warehousing in our 40,000sqft building for up to 60 days, and access to our low cost freight carriers. HDL puts the highest emphasis on quality, therefore only FDA approved virgin resins are used in the manufacturing process. Products endure a rigorous QC process to insure they meet the highest quality standards.